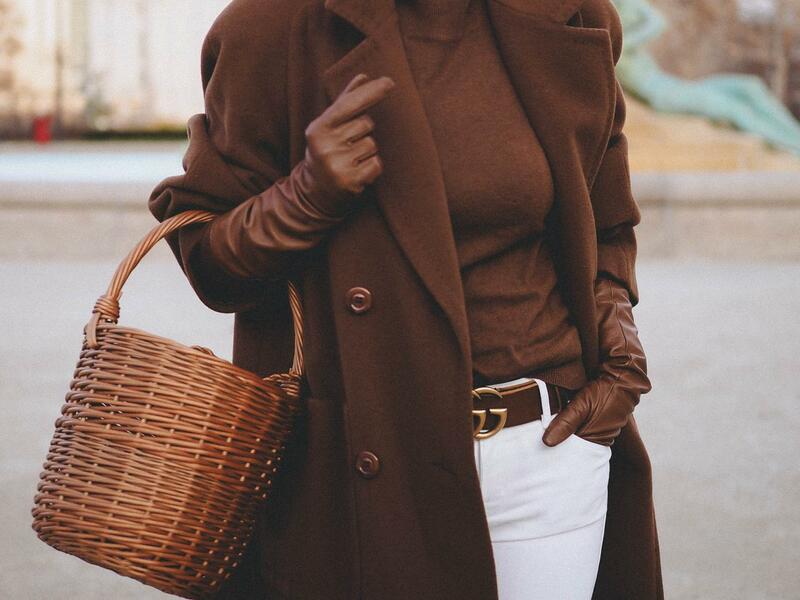 Brown and White -the classic duo worn in a casual way. Classic timeless pieces are worth the investment and always a priority in my wishlist. Here are 3 items that instantly will make your look chic without trying too hard and keep you warm in the cold days. 1. 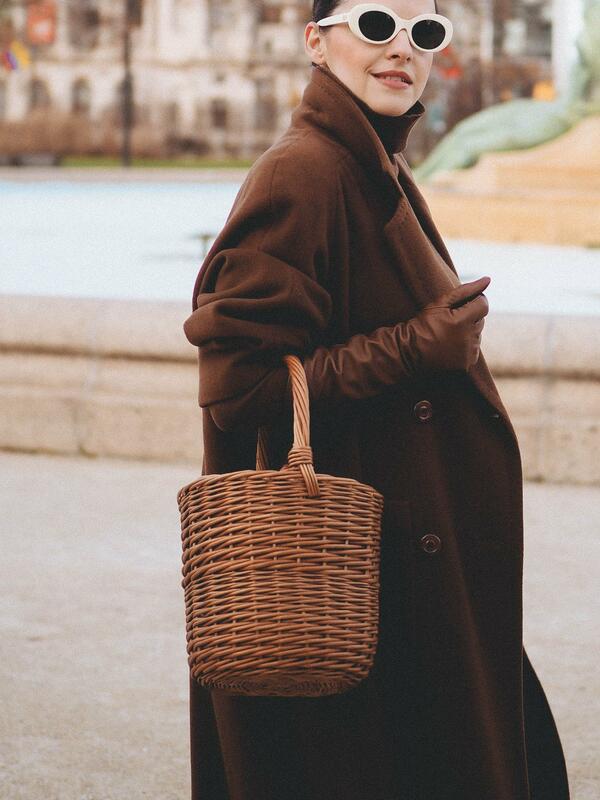 Brown/ Camel coat - a classic piece for many years to come! I prefer a long oversize design, I found most of my coats in the vintage shops. 2. A turtleneck sweater - preferable cashmere in a neutral color. 3. 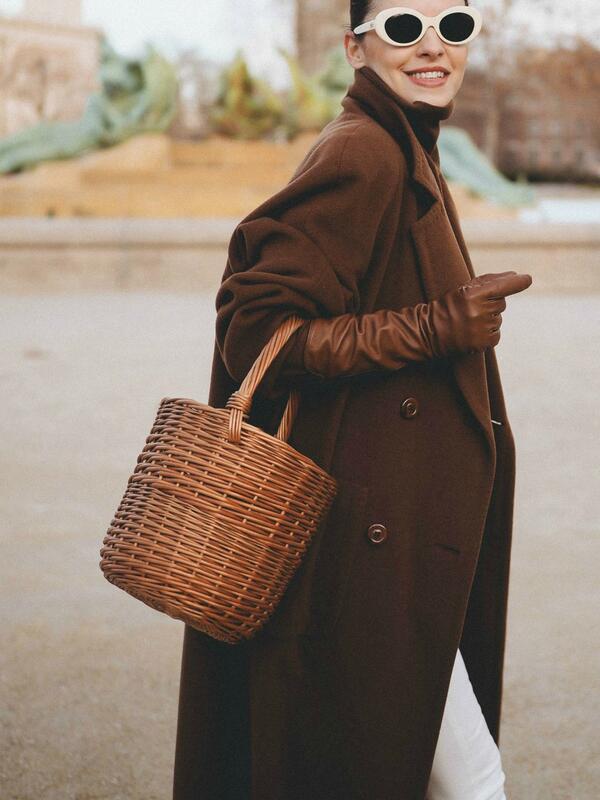 As for accessories: A basket bag and a travel wrap to keep you warm. Voila! Simple, classic and practical!